This Journal Post is part of a collaborative interior and trend research project between FvF and Esprit Home. Through our continuous observations of local and global shifts in the socio-cultural sphere, we are able to provide insights from a variety of creative perspectives. Milan is the third in our series of city reports, following reports on Amsterdam and San Francisco. Milan is the Italian North and the Mid-European South. Milan in the collective imaginary means elegance, energy and creativity. Here summers are warm, flowery and quiet and winters flutter a grayscale of large streets with austere buildings, pebbles and speckles of fog. It’s the place where every day designers open the shutters of their studios and business men and women dress in their tailor-made suits accessorized with large leather purses. Models dash gracefully around agencies looking for the next catwalk to jump onto. Milan is all this while at the same time holds glimpses of a Latin quality. 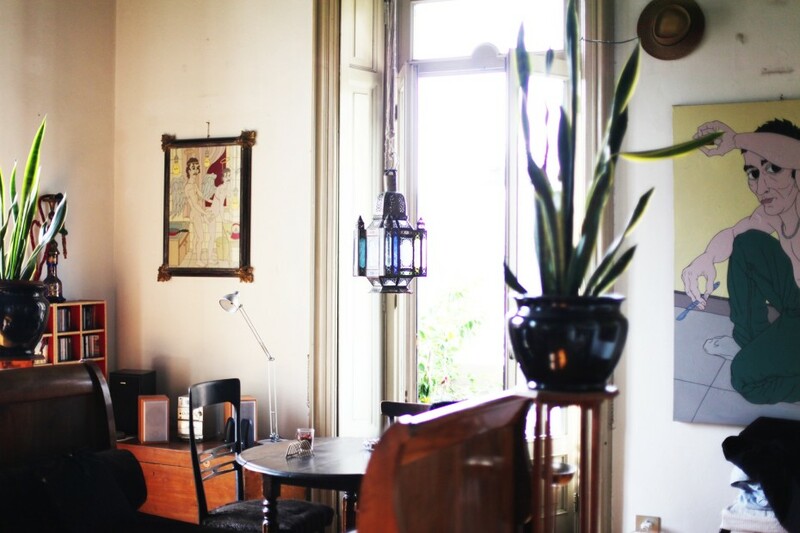 Here you can breath the international air while joining a typical Mediterranean social gathering. Surrounded by people running around, you feel grounded and welcomed. A city that’s loud outside and quiet inside; a city that at first glance doesn’t show everything, that wants you to look closer to discover the strong and half-hidden industrial identity. 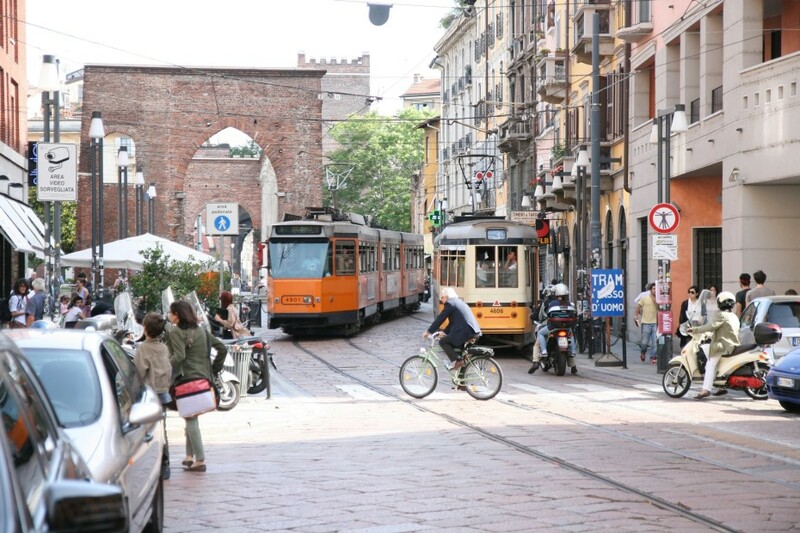 From the end of the Nineteenth Century until the Sixties, Milan had a huge industrial development: railways, canals and the famous Navigli were shaping areas close to the city center. 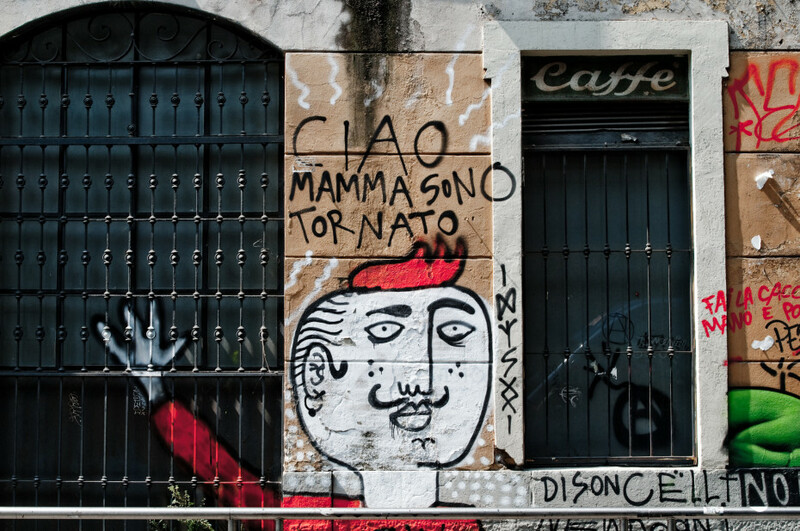 Now those areas are part of the typical Milanese scenario and Zona Tortona is one of them. 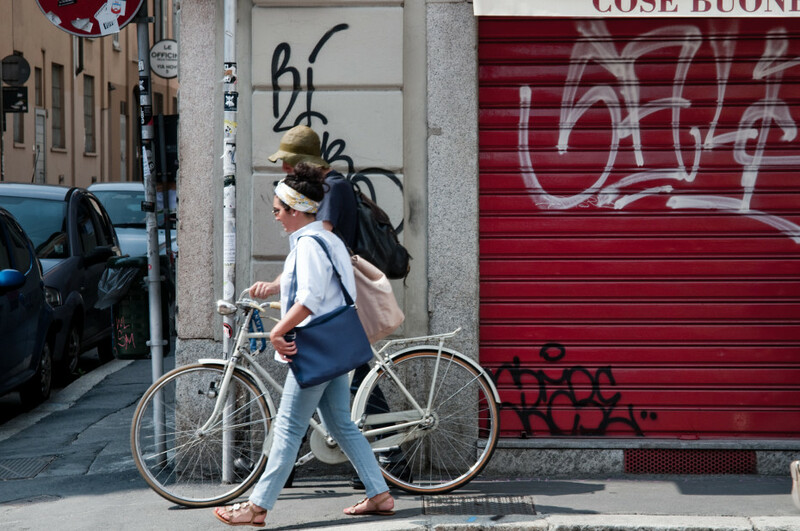 It’s easy to embody and appreciate the different historic identities of Milan heightening your personal connection with the city. 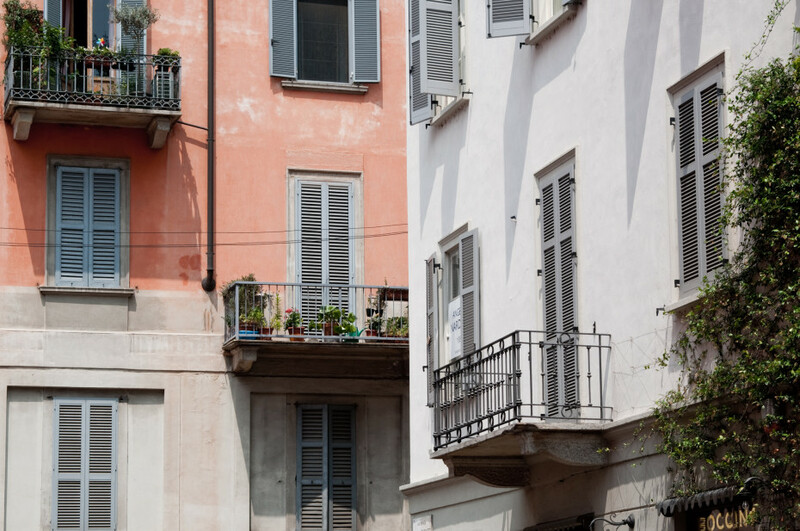 Walking up from the Navigli towards the crowded Porta Genova train station, you catch sight of a tight access route which leads to via Tortona behind a typical orange tram. 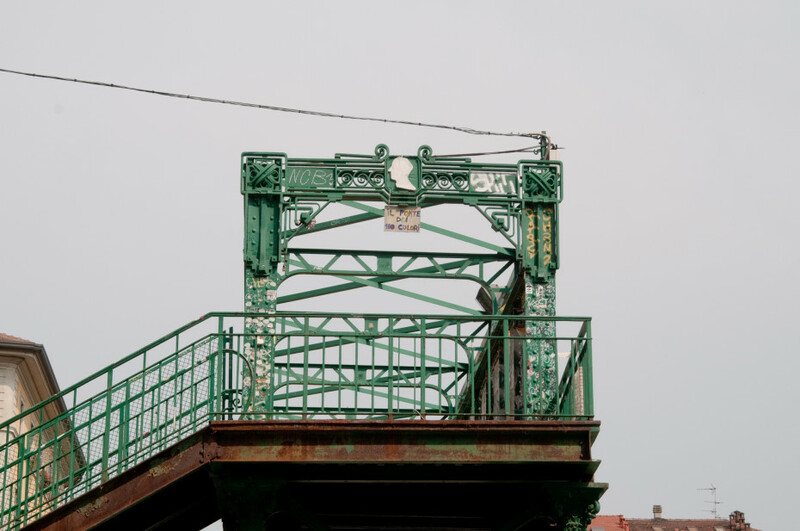 A green iron staircase crosses the railway tracks, taking you back in time. The streets are defined by a rhythmic succession of workshops, bars, old factories and vintage shops. The true beauty of Milan lies hidden behind large wooden front doors which open up to reveal a typical Milanese courtyard. Such spaces are locals secret and it’s no surprise the entrance is designed to go unnoticed. Less than fifty years ago vias Tortona, Savona, and Forcella were densely populated by industrial workers going to play at the bocciofila, a typical Italian recreational club. Not much has changed today as they follow a path through the front door, climbing the steep stairs, walking across the small and ivy green balconies to their apartments. From the outside Milan is often gray and rainy. Inside, however, it’s surprisingly cozy. The decorated ceilings soften the bedrooms and living rooms with light floors that perfectly complement them. Warm colors are spread out across the rooms creating a quaint dialogue with the furniture: chocolate brown, cognac, green and beige tones dominate the look. 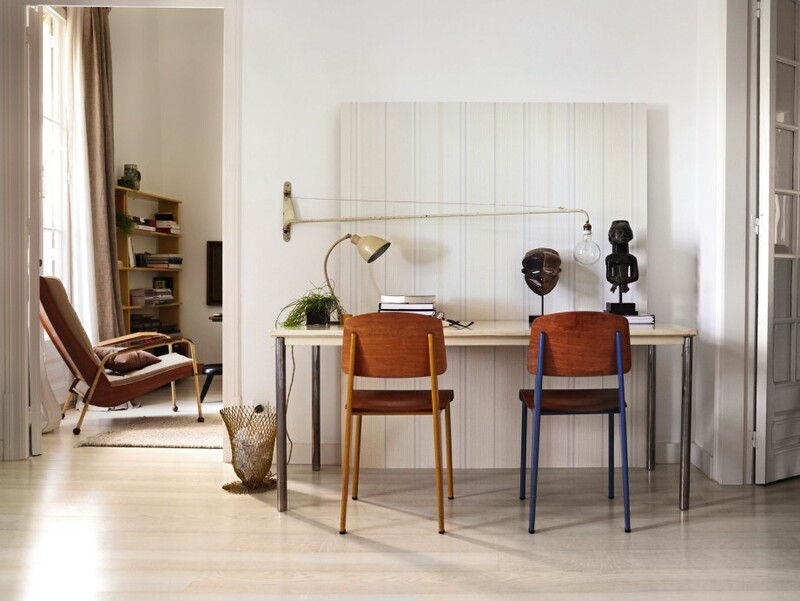 Interiors are populated by old Fifties and Sixties metal furniture; maybe a Castiglioni or Magistretti lamp is composed with a vintage color school chair or with a fresh home-made object designed by a friend. The handcrafted background walks shoulder to shoulder with the new generation of inhabitants. The fashion system gives young designers the chance to explore traditional working methods and enhance their technique. It’s not a coincidence that famous brands and design hubs have chosen Zona Tortona as their home; Giorgio Armani and Superstudio: Architectural Group are among the many. Research has always been at the crux of the Italian traditions and textile industries exploited to elevate the quality of products. Tailors and paint factories experimented with new techniques which now are housed both in a lower class and an upper-class’ modern home; it isn’t difficult to come across old blankets formed from a mixture of fabrics which are harmoniously camouflaged with tweed, colorful stripes or herringbone. 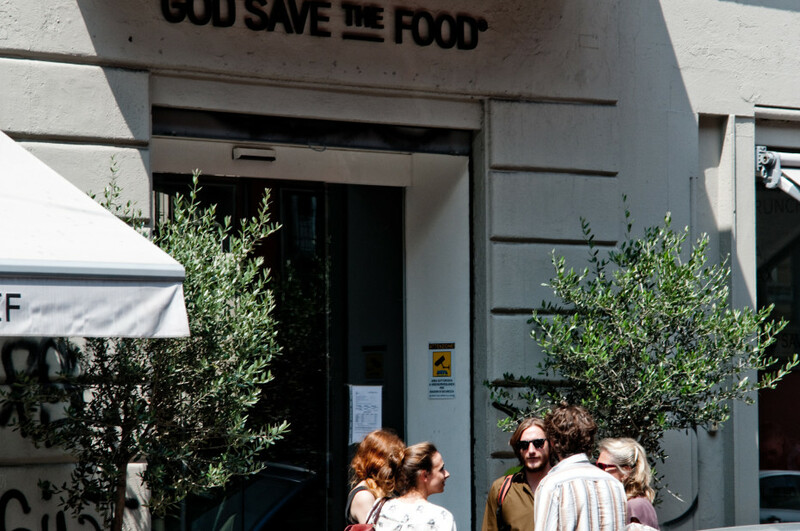 But Milan and Tortona are also the same areas that for one week of every April house the Fuori Salone, the main off-event of the most renowned Salone del Mobile. 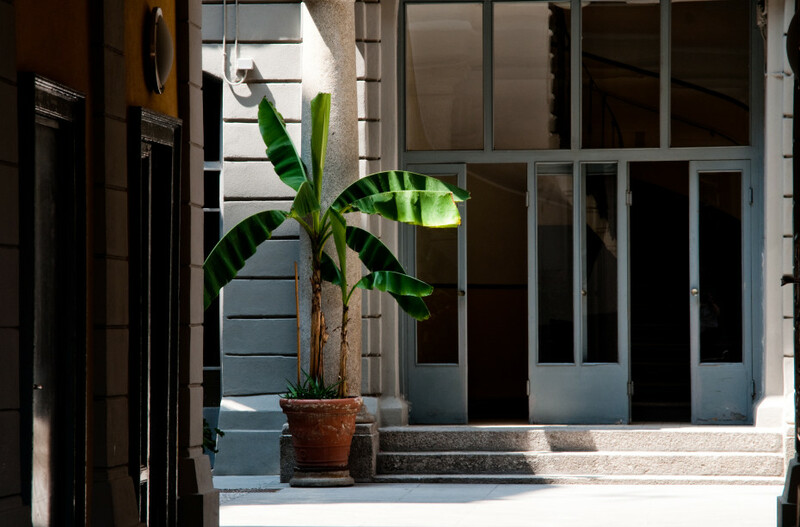 Since the Nineties, Fuori Salone and Tortona have been key areas for design. During those days interior designers and architects from all over the world talk just about what’s happening there. A big crowd run around to discover the best venues and the newest interesting brands and emerging designers. Everyone is busy with the adventure and it is only when they retreat back home to their countries that locals go out again heading to the bar at the corner for a spritz or a Negroni. Tortona is the first area to be converted and it’s just during last few years that Milan and its inhabitants are slowly transforming other city districts with the same industrial background like via Ventura (Lambrate), via Morimondo/Ludovico Il Moro or the Isola district known also for its Italian rationalist dwelling buildings (Giuseppe Terragni, Pietro Lingeri) that now are sharing the ground with skyscrapers by Cesar Pelli, Stefano Boeri and Nicholas Grimshaw. The cultural conversion is carried through from architecture to vintage design clothing, but it’s always difficult to match the perfect balance between new and old. 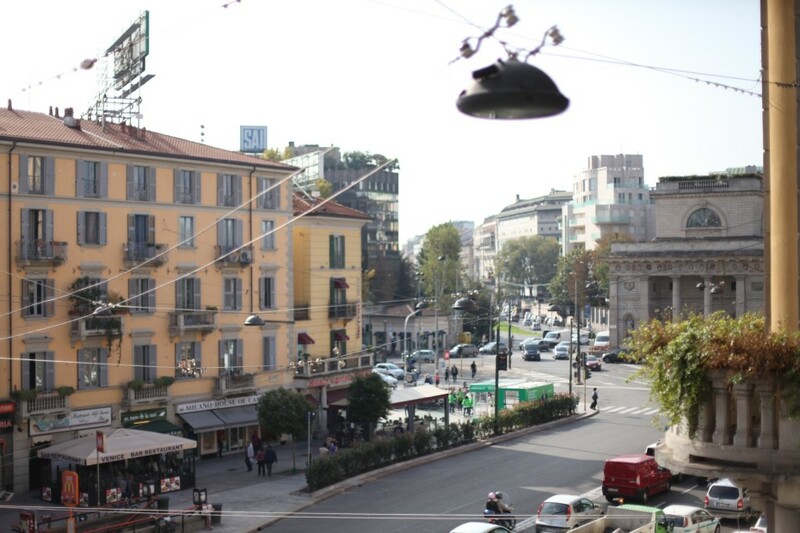 It’s a two thousands thematic; all the biggest cities have the same ambition to change their identity and leave past behind, but Milan has a special touch in doing this. Milan is able to mix the different eras and tendencies without forgetting its background and that’s what makes it so attractive. Fluorescent sneakers fit next to bourgeois ladies who are walking confidently in their high heeled shoes. 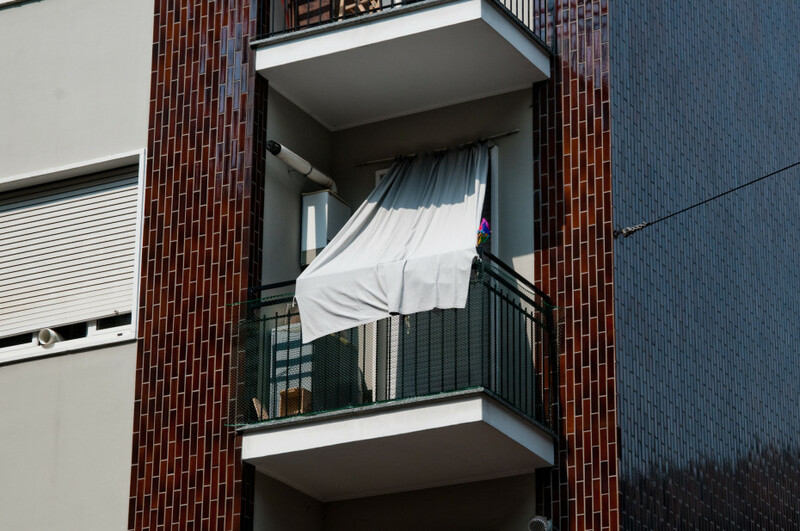 Those who come to live amongst these dimensional parallels immediately taste the history and feel comfortable to share their own new international visions because Milan makes you feel at home and abroad as you are comfortably seated on your own sofa.